Since his arrival at The Daily Show, Jon Stewart has become one of the major players in comedy as well as one of the most significant liberal voices in the media. 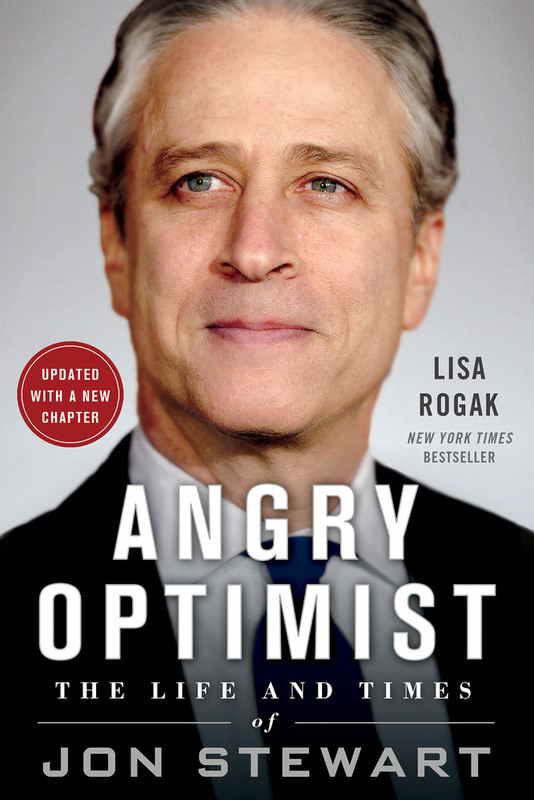 In Angry Optimist, Lisa Rogak follows his unlikely rise to stardom, from his early days growing up in New Jersey, through his years as a struggling stand-up comic in New York, and on to the short-lived but acclaimed The Jon Stewart Show, before at last landing a job as host of a half-hour comedy show that at the time was still finding its footing amidst roiling internal drama. Once there, Stewart transformed The Daily Show into one of the most influential news programs on television today. Drawing on interviews with current and former colleagues and with new material on his departure from The Daily Show, Angry Optimist reveals how Jon Stewart has come to wield incredible power in American politics and changed how the news is reported along the way. The Daily Show with Jon Stewart is one of the most influential television series of the past couple of decades. Like many people, I first took notice when segments from Indecision 2000 went viral: the blend of hilarious satire and sharp observation was a winning combination. Despite the host’s denials, The Daily Show was a real force in American politics, often providing more news and media analysis than actual, professional news channels. Jon Stewart, however, has remained something of an enigma, however – fiercely private, most of us have only had the occasional magazine profile to inform us of what might make the host tick.